Here you can find articles and links pertaining to the many programs and practices affiliated with Scientology. The Volunteer Ministers program was launched more than 30 years ago, in response to an appeal by Scientology Founder L. Ron Hubbard. Noting a tremendous downturn in the level of ethics and morality in society, and a consequent increase in drugs and crime, Mr. Hubbard wrote, "If one does not like the crime, cruelty, injustice and violence of this society, he can do something about it. He can become a VOLUNTEER MINISTER and help civilize it, bring it conscience and kindness and love and freedom from travail by instilling into it trust, decency, honesty and tolerance." No one questions the severity of the drug problem and its devastating impact on youth. Academic results suffer and, even worse, drugs undermine health and destroy young lives. The best solution is to reach young people with effective, fact-based drug education before they start experimenting with drugs. The purpose of YHRI is to teach youth about human rights, specifically the United Nations Universal Declaration of Human Rights, and inspire them to become advocates for tolerance and peace. YHRI has now grown into a global movement, including hundreds of groups, clubs and chapters around the world. Youth for Human Rights International teaches human rights education both in the classroom and in nontraditional educational settings. We aim to reach people from diverse backgrounds, with materials which often appeal across generations. By teaching human rights through all means, from conferences and workshops to hip-hop and dancing, this message has spread around the world. Criminon (which means "no crime") is an international non-profit public benefit corporation dedicated to addressing the causes of criminality and restoring the criminal's self-respect through effective drug detoxification, education and common sense programs. By making them responsible for their actions, people under the Criminal Justice system can become ethical and productive citizens. At Narconon, we're dedicated to helping people who are dependant on or addicted to drugs or alcohol to get through a successful drug rehabilitation program that will change their lives and the lives of their families. Thousands of people have successfully completed Narconon drug rehabilitation programs and, unlike many other alcohol and drug treatment methods, the vast majority of graduates go on to live stable, ethical, productive, drug-free lives. Our success rate is second to none. No one questions that moral standards have declined over the decades. Skyrocketing drug and alcohol abuse, now all too prevalent among young people, has brought increased crime to schools, cities and countries. Statistics show that proliferation of drugs and escalating violence go hand in hand. Honesty, decency and a sense of self-respect are perverted daily from a multitude of sources. Our youth are exposed to peer pressure, and associations with ill-intentioned people who seek to make their living by destructive means and degradation, without discrimination or scruple. We are committed to making a change using The Way to Happiness, a common sense guide to better living which has been distributed to more than 100 million people in over 100 languages. The future of our planet will one day rest in the hands of our children. How well equipped will they be to carry society forward? Perhaps the surest gauge is the success with which we are educating them for that role. Sadly, from all indications, this responsibility has not been met. At a time when quality education is more important than during any period in history, our schools are failing at an alarming rate. Typical of the educational problems faced by most Western countries is the tragedy of the United States student. America once had one of the finest educational systems in the world, yet for nearly three decades that system continues to face a formidable crisis. Over 25 percent of all students leaving or graduating high school lack the reading and writing skills required by the minimum demands of daily living. This web site contains a small portion of the entire body of Study Technology developed by L. Ron Hubbard. Regardless, this brief overview contains fundamentals which you can use to study more effectively. With this technology, any subject can be learned by anyone. 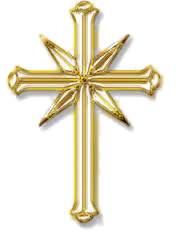 A Comprehensive Overview of the Background, Theology and Religious Practice of the Scientology Religion. The FDA has published approved guidelines for tapering off these medications. Those guidelines are what the authors published a decade ago and this approach is as effective now as it was in 1999. The American Medical Association published a report in 2010 acknowledging at least 10% of the population will not be able to get off their antidepressant because of the withdrawal side effects. One particular side effect associated with antidepressant withdrawal is the "brain zaps". This is an electrical jolt that runs from the base of the neck to the base of the skull and the jolt can happen several times a day or non-stop. Dug-induced weight gain, specifically from antidepressants and antipsychotic medication is common. There are estimates that 25% of all people taking an antidepressant will at some time during treatment experience drug induced weight gain. We were not able to find verifiable statistics with antipsychotic medication, but with the incidence of diabetes being extremely high and other factors commonly seen with prolonged antipsychotic medication usage, the numbers would be as high or higher of weight gain when an antipsychotic medication is used. There are a number of factors associated with the weight gain and when these factors are addressed, weight loss can begin. If you're experiencing withdrawal symptoms from taking yourself off of psych drugs cold turkey, read this blog immediately!